With just a few more substitution rules to go, here’s an easy one. Association is a rule that lets you reorganize multiple conjunctions or disjunctions. That sounds more complicated than it is. Trust me. To show how association works, I need an example premise first. Meteorites are big, and comets are cold, and space is vast. You can represent that premise as M ∧ (C ∧ S), and what association lets you do is change it from its previous form to (M ∧ C) ∧ S. Rearranging the brackets doesn’t change the meaning at all. This works exactly the same way with disjunctions, as you can see by changing the premise to “Meteorites are big, or comets are cold, or space is vast.” This gets really useful when combined with commutation, and can be used to pick apart larger premises into smaller pieces, and also to help resolve material conditionals. 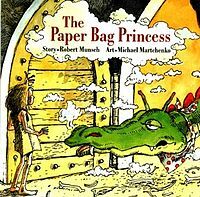 Here’s an example of association in a proof, to the tune of Robert Munsch’s Paper Bag Princess. 6. The dragon flies around the world twice. (W), Simplification from 3. 7. The dragon burnt up Princess Elizabeth’s keep and burns up 500 forests and all of her clothes. (K ∧ (F ∧ C), Association from 4. 8. The dragon burns up 500 forests and all of her clothes. (F ∧ C), Simplification from 7. 9. The dragon burns up 500 forests. (F), Simplification from 8. 10. The dragon burns up 500 forests and flies around the world twice. (F ∧ W), Conjunction of 6 and 9. 11. If the dragon burns up 500 forests and flies around the world twice, then Princess Elizabeth can rescue Prince Ronald. ((F ∧ W) → R), Hypothetical Syllogism from 1 and 2. 12. Princess Elizabeth can rescue Prince Ronald. (R), Modus Ponens from 10 and 11. In the former sentence, your charm went along with your wealth, and suddenly it doesn’t, so the meaning has changed. And that’s association! For more lessons in logic, check out the post index. Thanks for reading! Previous Article← What’s an Argument?